The Rhys dynasty once ruled over the mediaeval kingdom of Deheuberth which, at its peak, took in large parts of modern day Carmarthenshire, Pembrokeshire and Cardiganshire with Breconshire thrown in for good measure. All that remains of the mighty Dinefwr lands today, one thousand years later, is the small (though perfectly formed) Dynevor Park in Llandeilo. The history of the mediaeval dynasty of Rhys is very well recorded but less so is what happened to the family after they were dispossessed in 1277 by Edward the First, who finally subdued all of Wales by 1284. Today's Dynevors claim their descent from these same twelfth century Lords Rhys. The mediaeval dynasty however remained dispossessed for 200 years until a Welsh king, Henry Tudor (Henry the Seventh, who also claimed descent from the Lords Rhys), seized the English throne from Richard the Third in 1485 and restored the lands to the latest member of the family line, Rhys ab Thomas. Rhys had raised an army in support of Henry in 1485 so the restoration of his lands was his reward, as was a knighthood granted him by Henry. The next king however, Henry the Eighth, reverted to type and took the lands back from ab Thomas's grandson, Rhys ab Gruffydd, who was accused of plotting with the king of Scots to overthrow Henry and make himself ruler of Wales. Part of the evidence against him was that he had sought to stress his links with the ancient Welsh kings by adopting the name Fitzurien (still part of the Dynevor family name today.) The charges were preposterous and fabricated but it was Rhys's misfortune to be guilty of a crime greater even than treason in Henry's eyes: owning extensive estates and wealth when Henry was in permanent need of money. Rhys's fate was sealed and he was executed in 1531, having no chance of justice at the hands of a man who would soon behead two of his own wives (Anne Boleyn in 1536 and Catherine Howard in 1542). Henry's daughter, Queen Mary (reigned 1553 - 1558), restored some of the lands to the Rhys family and Charles the First (reigned 1625 - 1649) finally restored all the lands to them (who by now had anglicized their name to Rice). 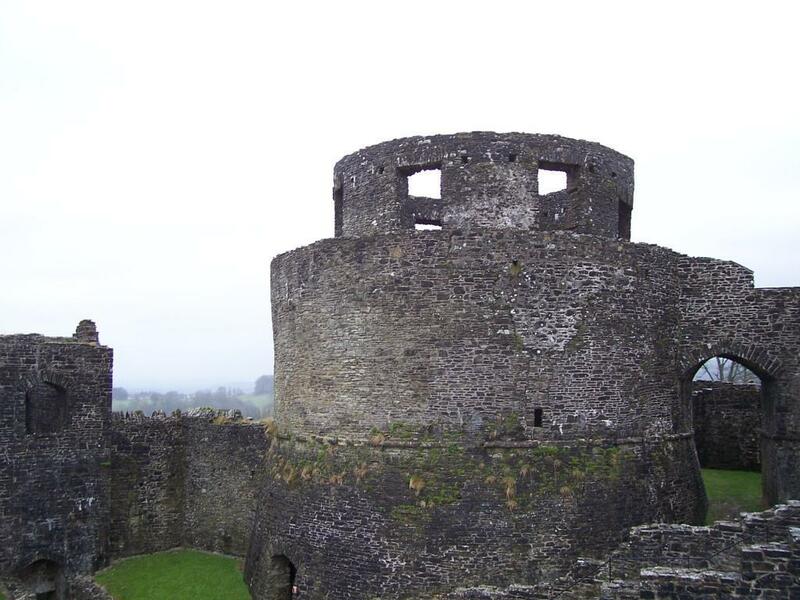 The Dynevor estates were given by Henry the Seventh to Sir Rhys AB Thomas, and descended with his other possessions to his grandson Rhys Ab Gruffydd, from whom, through an act of the most cruel injustice, they again reverted to the crown, in the reign of Henry the Eighth. Rhys's ancestors had been in the habit of occasionally adding AB Urien, or Fitz Urien, to their names, in conformity to the general Welsh practice, in order to show their descent ['Ab' and 'Fitz' both mean 'son of'']. This designation, after being disused for some time, was again adopted, probably in a vain frolic, by young Rhys. The circumstance being reported to the king, and being associated with the immense possessions and unbounded popularity of the family, was construed [by Henry the Eighth] into a design to assert the independence of the principality, and to dissever it from the English government. It was also supposed, without the shadow of proof, that this was part of a concerted plan to depose King Henry, and bring to the English throne James the Fifth of Scotland. To increase the absurdity of the whole business, the plot was said to be founded on an old prophecy, that James of Scotland with the bloody hand, and the Raven, which was Rhys's crest, should conquer England. On such frivolous grounds was this young chieftain, himself one of the first commoners in the realm, and connected by marriage with the family of Howard, arraigned for high treason, found guilty, and beheaded.